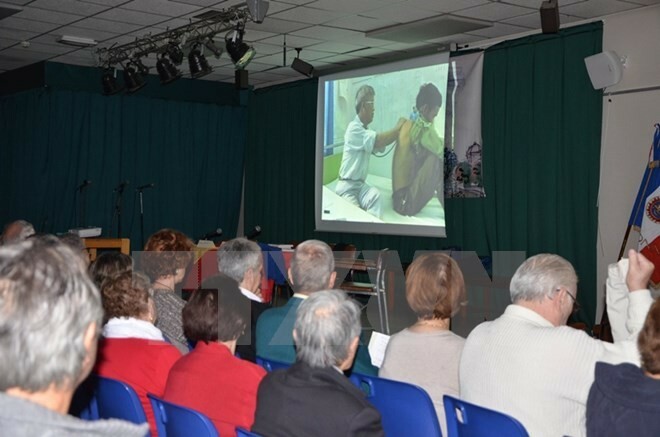 (VOVworld) - A Vietnam Day was recently held in France’s Essonne province to highlight Vietnam’s achievements during its renewal process and raise funds for Vietnamese Agent Orange (AO)/Dioxin victims in Van Canh Village in Hanoi. The event showed support for AO/Dioxin victim Tran Thi To Nga, who is pursuing a lawsuit in Paris against US chemical firms to demand justice for the victims. Vietnamese Ambassador to France Nguyen Ngoc Son said he hopes the French people will continue to support Vietnam’s national construction and post-war recovery. Panels and photos featuring the construction of the Van Canh Friendship Village led visitors to the grand hall. Traditional handicraft products were on sale to raise money to build a playground and repair houses damaged in the recent flood.